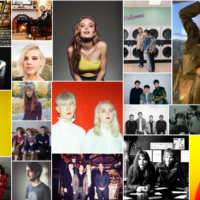 Once again, due to the avalanche of new music released this week, today we have two mini-playlists. The Matinee ’18 January 11th – Part 2 features songs by some familiar names and others you ought to know. To hear Part 1, click here. 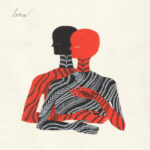 One of our most anticipated albums of the year is only five weeks away, and yesterday Loma revealed the second song from their forthcoming debut LP. Whereas the first single, “Black Willow”, was like a silent drive into oblivion, “Relay Runner” is the emergence from the tunnel and into the light. The song is quietly blissful and intoxicating, as Emily Cross’ soft yet immersive vocals hover above the trippy arrangements and hypnotic rhythms. While the soundscape is mesmerizing, it is Cross’ storytelling that steals the show, as she shares a tale of finding freedom and emerging from the shadows. This is absolutely brilliant. In case you may not know, Loma is the latest super-group that consists of Shearwater front man Jonathan Meiburg and Cross Record, who are the wife-and-husband duo of Emily Cross and Dan Duszynski. 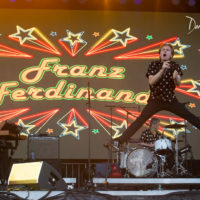 Their self-titled album arrives February 16 via Sub Pop with pre-orders here. 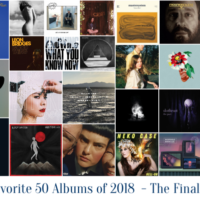 In 2016, a little band from Halifax, Nova Scotia surprised plenty of tastemakers and critics with an album that brimmed with classic rock and folk-rock. Nap Eyes‘ Thought Rock Fish Scale echoed Lou Reed and Velvet Underground both in style and substance, and, consequently, it was one of our favorite albums of that year. Two years later, Nigel Chapman, Seamus Dalton, Josh Salter, and Brad Loughead are back with some more fantastic, ’70s-inspired music. “Every Time the Feeling” is an instant classic. The track will have folk-rock fans reminiscing of the Laurel Canyon days with its warm and summery melodies and the feel-good vibes that radiate from the jittery guitar riffs. Chapman’s songwriting, though, is more akin to Dan Bejar with his use of allegory and self-deprecating sense of humor. Could Nap Eyes have another gem on their hands? If “Every Time the Feeling” is just the tip of the iceberg, we’ll be clearing a spot for them on our year-end lists. 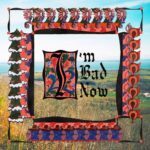 Nap Eyes’ third album, I’m Bad Now, arrives March 9th via Paradise of Bachelors. Pre-order it on Bandcamp or at the label’s store. 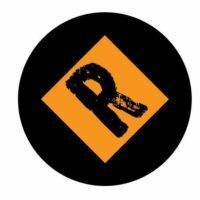 Nathaniel Rateliff & The Night Sweats have established a reputation for being one of the great live bands on the planet. 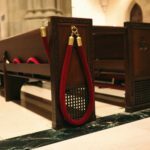 Every concert is a memorable experience, as their soul-infused folk and Americana always has audiences clapping, dancing, and loosing themselves. 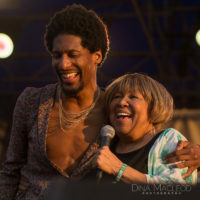 But Rateliff is also a prolific songwriting, often reflecting on his experiences being raised in a highly religious family and finding his own way to music stardom. On the band’s newest single, “You Worry Me”, the latter shines. The music is more subdued and intimate to allow Rateliff to share his message of hope and resilience, which is perfect during these dark and difficult times. In a different way, the band have delivered a memorable anthem. 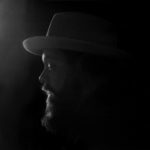 Nathaniel Rateliff & The Night Sweats’ new album, Tearing at the Seams, will be released March 9th via Stax Records. Pre-order options are available here. 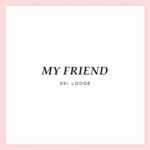 Put on your favorite neon or pastel shirt, puff up your hair, roll up your favorite pair of blue jeans, and travel back to the ’80s with Ski Lodge‘s new single, “My Friend”. The New York-based outfit led by Andrew Marr channel early New Order on this extremely groovy and sensational song, which will leave you smiling and strutting moves only seen in movies like Weird Science and Sixteen Candles. And that’s the best type of song in our opinion – one that takes you away from reality for a moment and rekindles memories of more innocent and freer times. Even Marr’s lyrics allude to this very ideal that life can be and should be better. By the way, check out Marr’s cover of Madonna’s “Like A Prayer”, which he turns into a dazzling, synth-disco number. After a few years of hovering under the radar, Soccer Mommy, the project of Sophie Allison, had a mini-breakout in 2017. 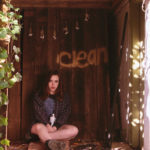 This year, though, should see her reach new heights, as her long-awaited debut album, Clean, drops March 2nd via Fat Possum Records (pre-orders available on Bandcamp). The first single from the LP demonstrates why so many people are predicting stardom for her. “Your Dog” is an intimate indie rocker that is akin to the gritty approach and personal songwriting of Waxahatchee and Mitski. As the jangly guitar hums in the background, Allison delicately yet expressively calls out her the people who want to treat her like “a pet” and leave her outside in the freezing cold. It’s a powerful and important song that arrives at a time when sexual harassment and assault have finally become part of our daily conversations. Over three years ago, Rich introduced us to the work of Caroline Sans’ project, Sur Back, at the time when the Floridian released her single “Occam’s Razor”. She was a hidden gem, and today she has emerged as one of America’s rising stars. Check that, one of the world’s most exciting innovators. Her new single is unlike anything currently out there. Part symphony, part electronic, part pop-rock, and 100% dazzling, “Valentino” is a masterful mélange of styles, textures, and influences. Plucky violin, steely electric guitar, soaring synths and keys, and popping percussion are heard on this carnival of a song. Although the multiple layers and sounds seem conflicting, it somehow works brilliantly. It’s like seeing an unusual concoction of ingredients on a plate yet put together they explode in your mouth. Only with “Valentino”, Sans the musical chef has made our minds erupt and, thus, introduced us to a new world of possibilities. The song is taken from Sur Back’s new EP, Kitsch II, which drops February 23rd. There is some really great psychedelic rock being created in Africa, and one of the continent’s leaders are Tal National, the Niger band who infuse West African influences into the rock music that western audiences know. Their new single, “Akokas”, exhibits the infectious quality of Tal National’s music. The song has a groovy, tropical dance vibe yet it pounds hard in one’s chest with the hammering guitars and throbbing rhythms. If this is your first introduction to the genre, this is the perfect gateway to an underrated but wonderfully refreshing and optimistic style of music. They lyrics, too, encourage us to remember the good times and relive them in our daily actions. 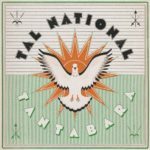 Tal National’s third album, Tantabara, will be released on February 9th via FatCat Records. Pre-order it here. Montreal’s Young Galaxy are among our favorite bands of all-time, even before The Revue was just an idea. Their electro-pop is wide ranging – from groovy, club-worthy dance numbers to serene, ethereal numbers. 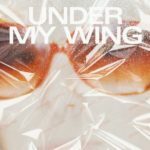 Their latest single, “Under My Wing”, falls into the latter category, as the quartet turn to the ambient to craft a sublime piece of sonic intimacy. Every element in the song is light and delicate but masterfully executed. The tropical production work and beats are soft and deftly delivered while Catherine McCandless’ vocals are angelic and blissful. The track is like a daydream coming to life, where for six minutes Young Galaxy leaves us in a trance and takes us to utopia. “Under My Wing” is the lead single from Young Galaxy’s forthcoming new album, Down Time, which will be released April 6th. The band is comprised of Stephen Ramsay, Catherine McCandless, Matthew Shapiro, and Andrea Silver.